Soy Protein Powders – Soy protein powders are still one of the best options for substituting the taste and texture of whey protein, and they are the most inexpensive and readily available of the options. They are typically smoother and creamier than a lot of the other dairy-free protein powder options when dissolved in liquid. However, there are a few caveats with soy protein powder. First, soy is a top GMO crop in the U.S., and many of the soy protein-based products use GMO soy. I recommend looking for non-GMO or organic if considering any soy products. Second, the negative studies on soy have revolved primarily around soy protein isolates – the main and sometimes only ingredient in soy protein powder. This concentrated protein has been touted as a menopause miracle, but also shown in studies to be a potential health hazard. I like some occasional tofu, but typically avoid any soy products that are not made with “whole soy.” Whole soybean and fermented soy have not been as negatively implicated in research as concentrated soy proteins. This is the gist of my stance, but be sure to make the best decision for you on this one. Egg White Protein Powder – To me, this is the best option, so long as you aren’t allergic to eggs or vegan. A good quality egg white protein powder is nothing more than powdered egg whites. Egg whites are a good concentrated source of protein, and when powdered, the protein works really well in almost any recipe. 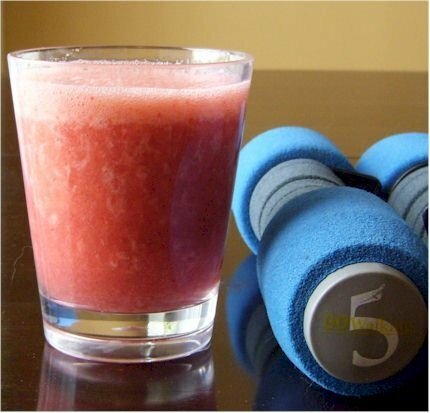 It improves the performance of baked goods, and makes a mean “Julius” smoothie. Egg white is usually the protein powder of choice for dairy-free Paleo and Primal dieters. Brown Rice Protein Powder – Rice protein powder seems to be a love-hate type product. My husband and I have trialed several of the most popular brands, but to me they were always a bit too powdery and cakey. In fact, my husband said they made every smoothie taste like cake batter. I’ve also had little success in baking with it. You have to use very small amounts or it can easily dry out the end product. However, I’ve read hundreds of rave reviews from fitness bloggers who can’t get enough of this stuff. Rice protein powder is typically soy-free and more like heavy flour in texture, though it doesn’t dissolve in water as nicely as soy protein powder. Therefore, I think it is best to add in small doses to smoothies or recipes. 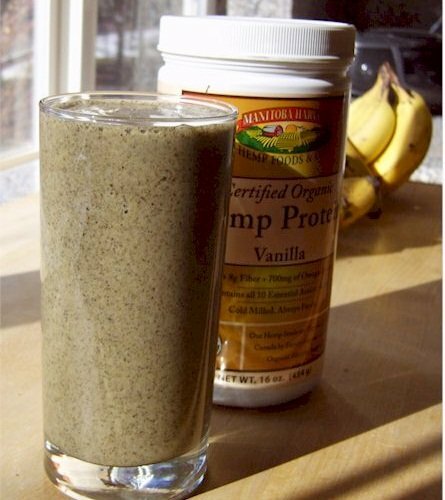 Hemp Protein Powder – Pure hemp protein powder is either just ground hemp seeds or concentrated hemp protein. It’s green (expect anything you put it in to turn green or muddy) and a bit gritty, and traditional hemp protein powders tend to be closer to a whole food in nutrients, with a fair amount of fat, protein, and carbohydrate. Tasty? Definitely! Visually Appealing? Um, Not so much. Companies have been working on smoothing hemp protein powder out, and two have done fairly well. Manitoba Harvest has a high protein version (HempPro 70)that has more of a powdery consistency, and Living Harvest Tempt comes in a high protein version that has an anti-caking ingredients mixed in, making it more like soy protein powder in texture. This is probably the most popular option with natural food enthusiasts. Other Dairy-Free Protein Powders – Manufacturers have been using concentrated protein from other foods for years in products, but they are only recently becoming available for consumer use. Two that you might see more of soon are Pea Protein and Cranberry Protein. Also, many natural food companies are powdering or concentrating nuts and seeds for their concentrated protein. Two that I have seen recently include Pumpkin Seed Protein Powder and Brazil Nut Protein Powder. Personal Note: Though I have trialed various brands for most of these protein powders, I seldom utilize protein powders anymore. In an upcoming post I will discuss my personal reasons for this. Brands: I scrounge the stores to find dairy-free brands and list them all (as we find them) in the No Dairy Product Lists. The brands noted above for hemp protein are ones that I recommend. For egg white protein powder, we usually purchased Rose Acre Farms since it had no additives, but I’ve heard that NOW is quite good too. What about you? Have you trialed any dairy-free protein powders? Are there any types or brands that you love? Also, feel free to link to any of your favorite recipes using protein powder in the comments! I never use protein powders anymore either. I was into them for a while, but I can’t justify it when I still meat. And I would rather just eat the meat. I used to rely heavily on a high-protein, low-carb “shake” for my morning breakfast and when I had to go gluten-free and dairy-free, I was at a loss for a substitute. So far, I’ve tried Nutribiotic Rice Protein powder and Plant Fusion. Nutribiotic has a good flavor, but is gritty. Plant Fusion tastes delicious and blends well. No grit or aftertaste. I made a protein shake yesterday afternoon using the Plant Fusion chocolate flavor, added some of my favorite coffee, almond milk and ice. Blended in the Magic Bullet. It was just like a frozen coffee drink at the speciality coffee shop! Chalky, that’s a good word for the brown rice protein powders. I did try Vega and the Sunwarrior brown rice protein, but it was still too chalky for our tastes. However, I thought it worked will in very small amounts. Thanks for the feedback! Thanks for this article. I’m always looking for and being disappointed by protein powders. I think you’ve saved me a few bucks here by pointing me in the right direction. My brother is a protein powder fanatic…but he’s also lactose intolerant! I’ll have to pass these along to him!